KEN YUSZKUS/Staff photo. 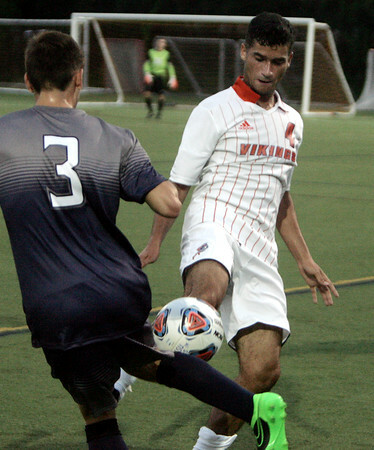 Salem State University's Caleb Gomes, right, and Gordon College's Daniel Perez both try to possess the ball during the Gordon at Salem State men's soccer game. 9/1/15.